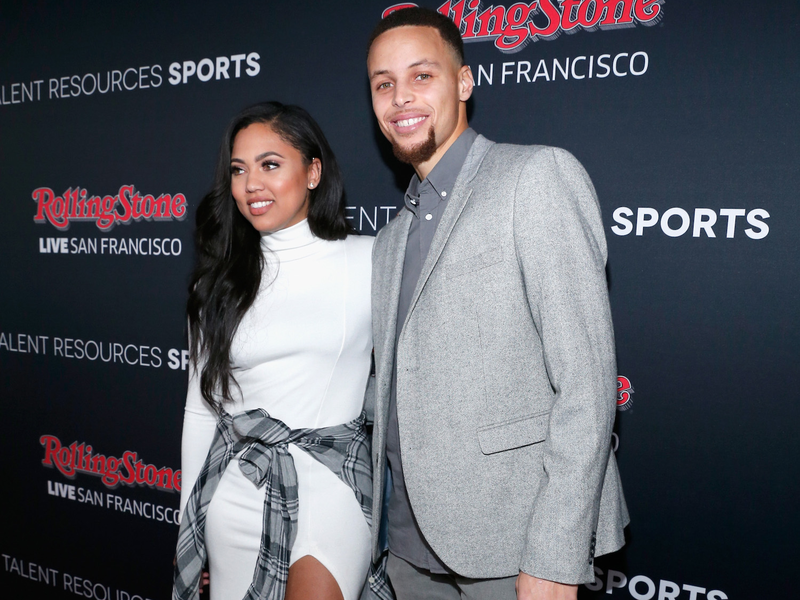 Stephen and Ayesha Curry’s romance is the stuff of fairy tales. 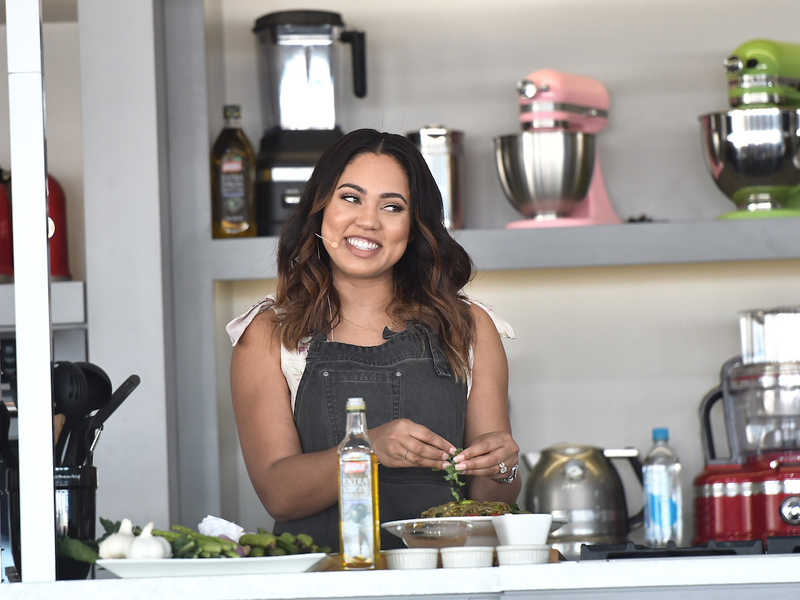 They met as kids, re-connected as adults, and now he’s one of the best basketball players in the world and she has begun to make a name for herself as a celebrity chef. Yet between those demands and the demands of raising two children (with a third on the way), the two appear to be as in love as ever. They met in a church youth group in Charlotte, North Carolina, but did not begin dating right away. 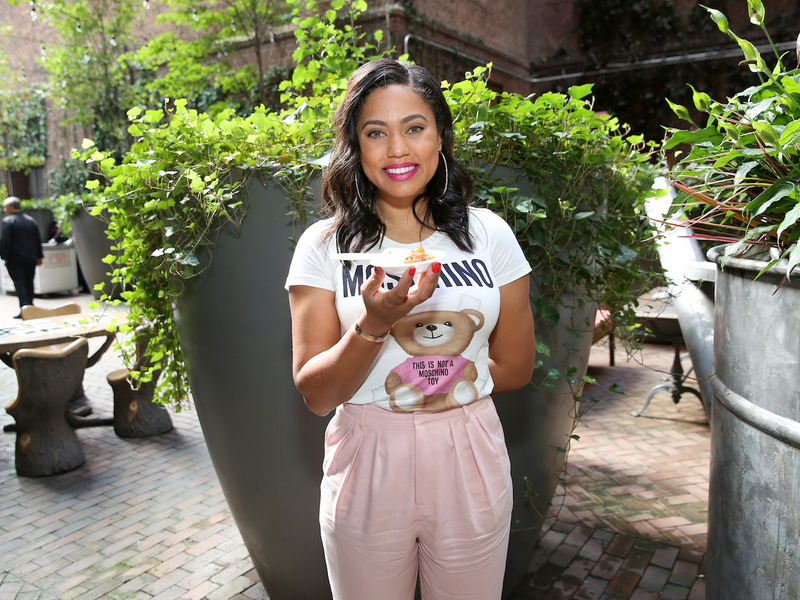 “He was the cute boy at church that all of the girls were obsessed with, so I made a generalization that maybe he wasn’t for me,” Ayesha has said. 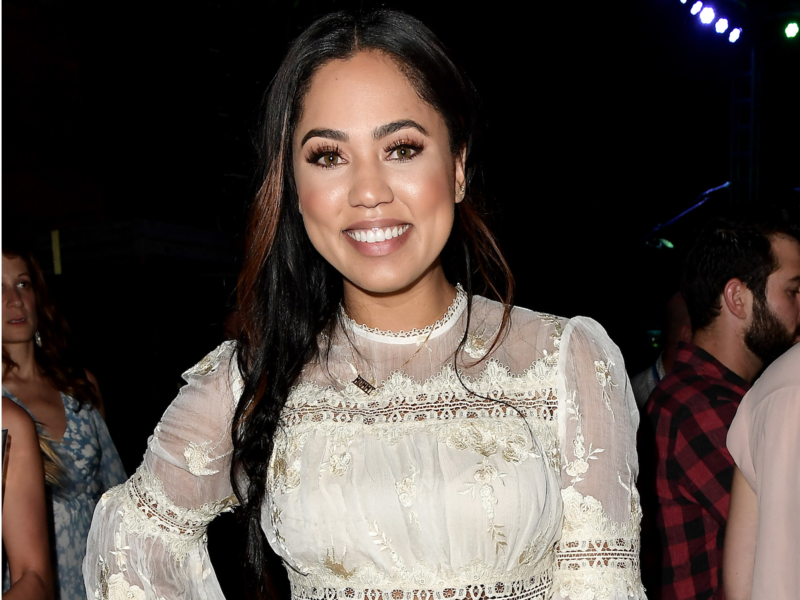 Ayesha wasn’t even allowed to date in high school. “We always laugh that we were both focused on God,” she has said. 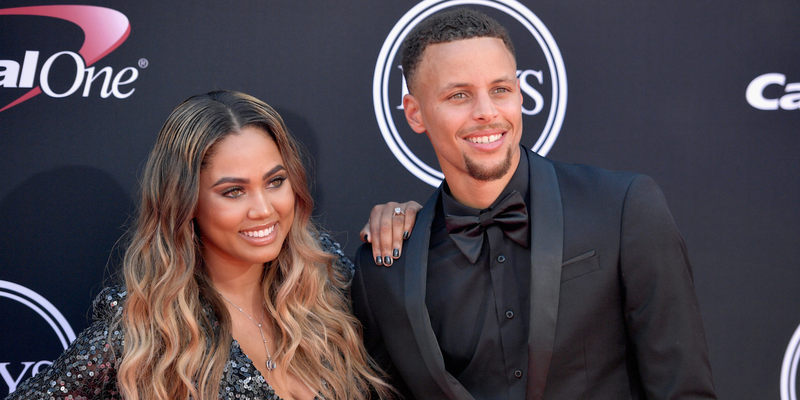 They re-connected later when Steph was in college. 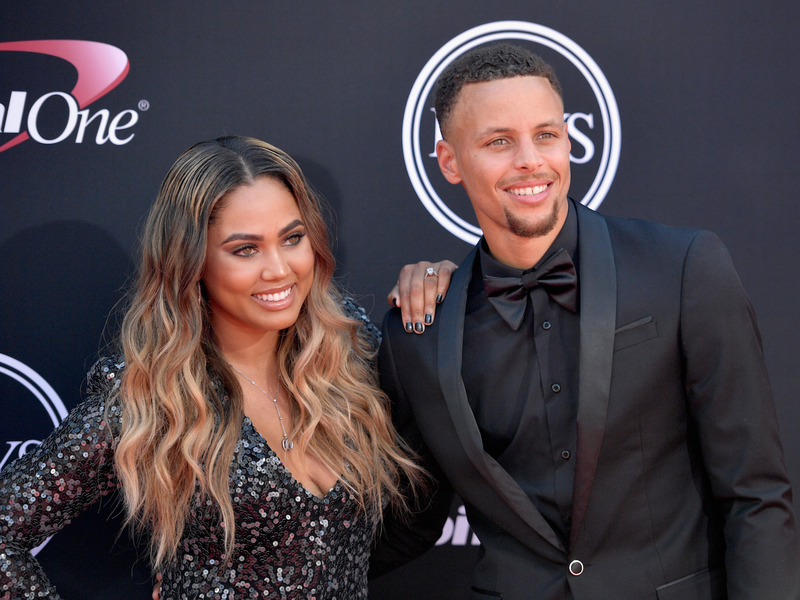 Ayesha was living in Los Angeles as an aspiring actress, and Steph went out to L.A. for an ESPYs ceremony — so he looked her up on Facebook. 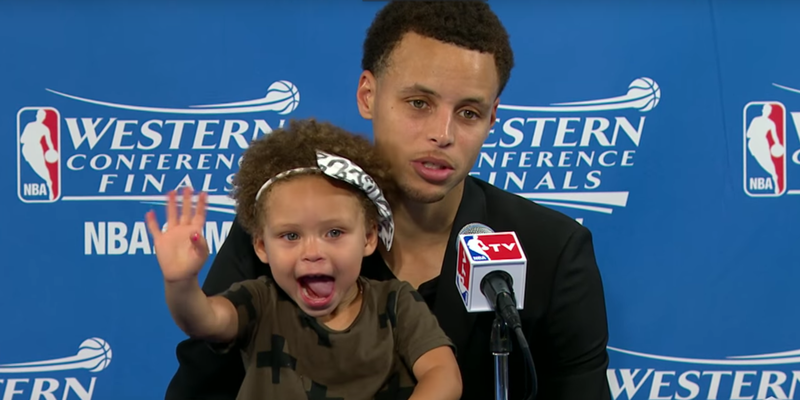 Ayesha didn’t know what the ESPYs were, or much about Steph’s burgeoning stardom. In fact, she used to not want to date athletes, as she thought they were too arrogant. 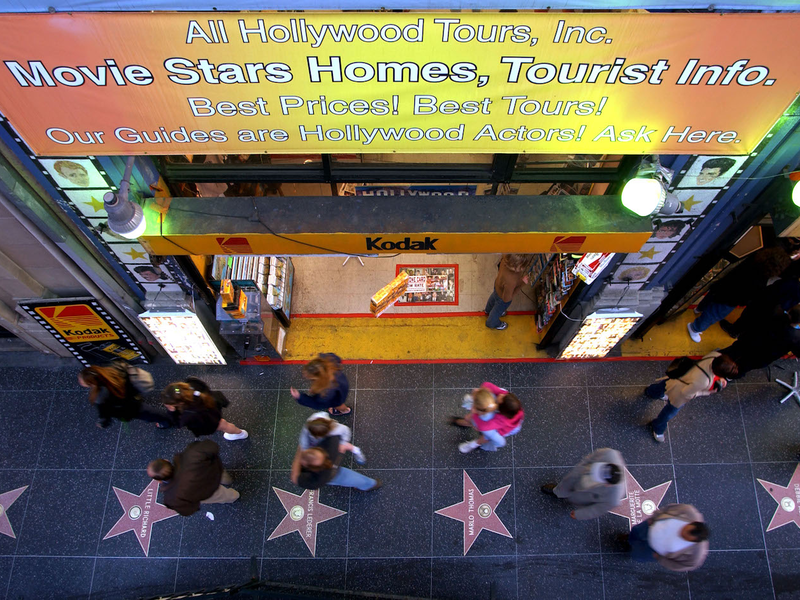 They finally went on their first date on Hollywood Boulevard. 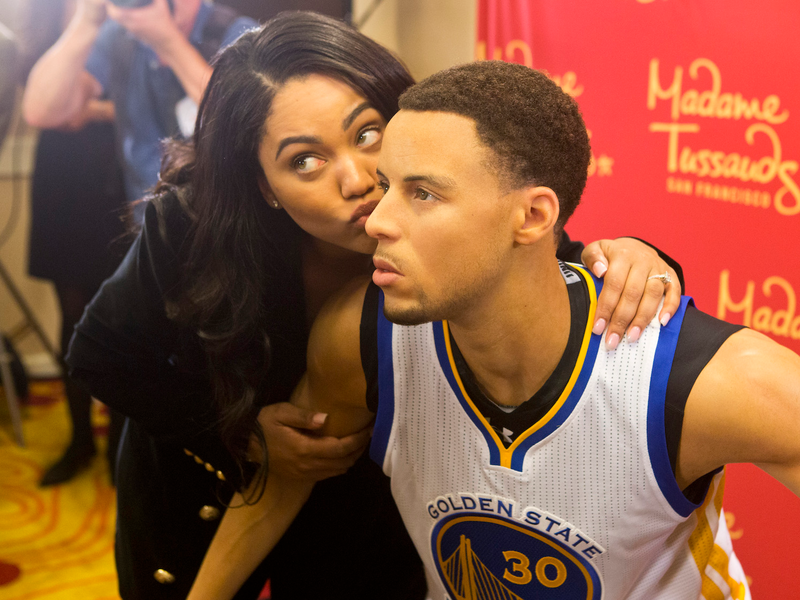 But Ayesha refused Steph’s first attempt at a kiss. 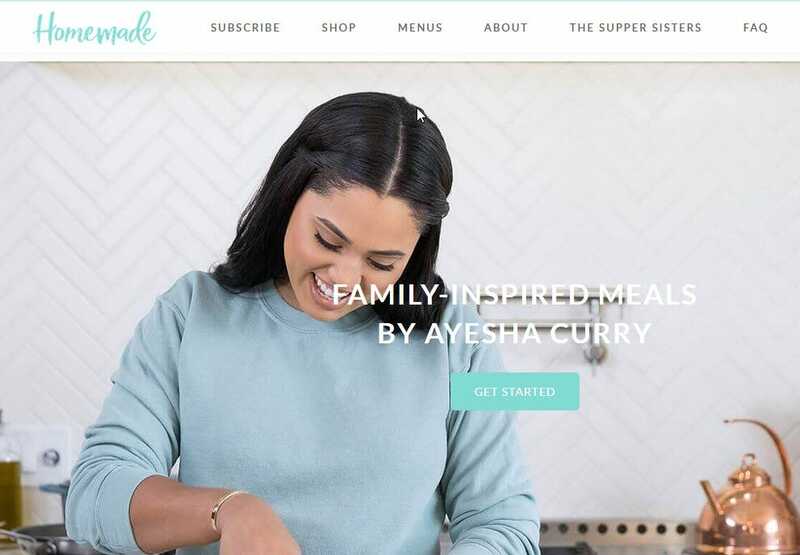 Ayesha moved back to Charlotte in time for Steph’s Junior season at nearby Davidson College. 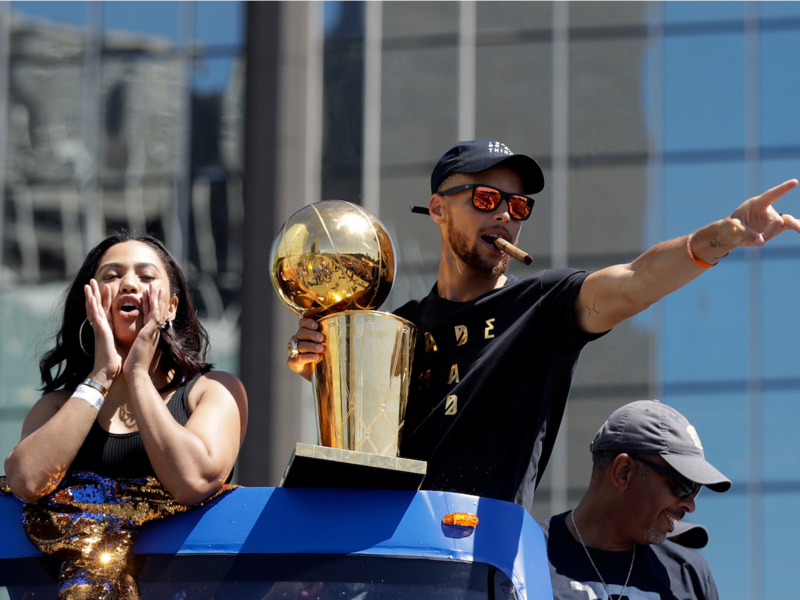 She stayed in Charlotte for a time after Steph moved to Oakland for his NBA career, but the two communicated constantly. 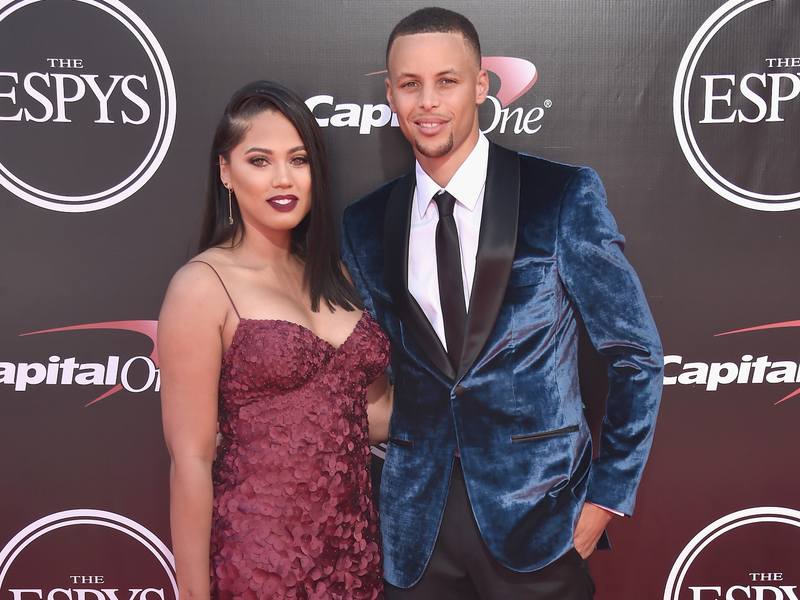 The couple later ended up having their first kiss in the driveway of Steph’s parents house in Charlotte. 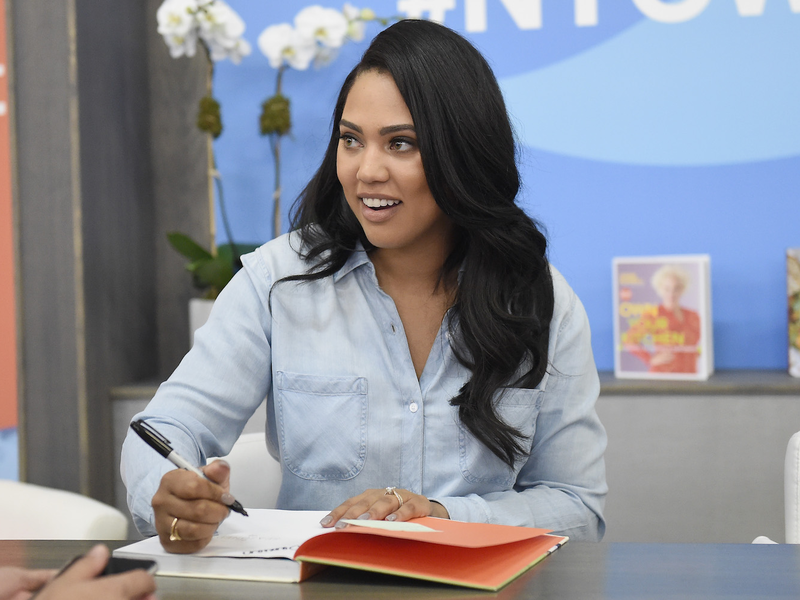 When Steph popped the question to Ayesha, he did so at the same spot as that first kiss. 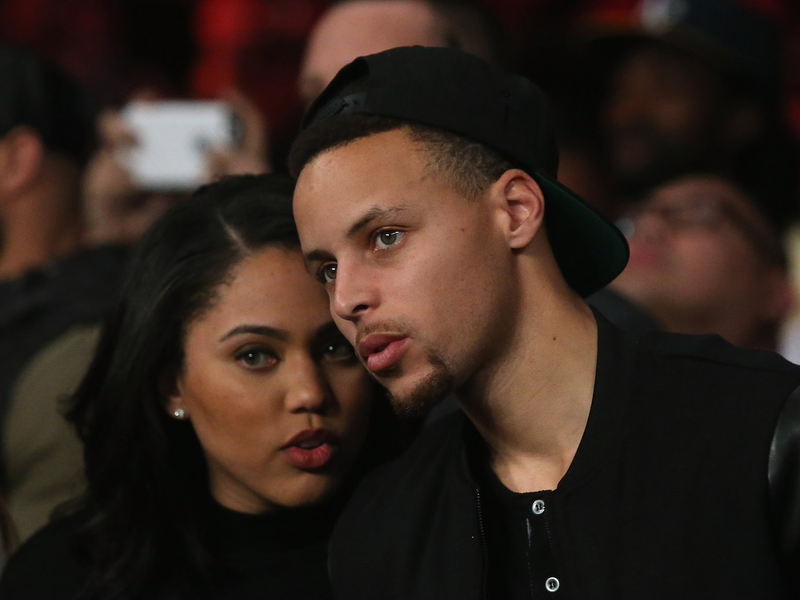 They got married when Steph was only 23 and Ayesha 22, and she became pregnant with their first child, Riley, soon afterwards. 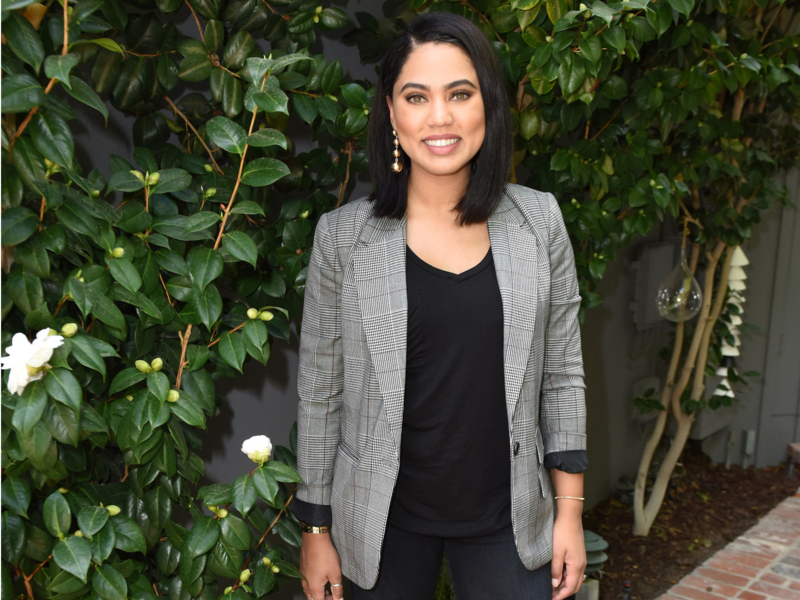 “She was a borderline honeymoon baby,” Ayesha has said. 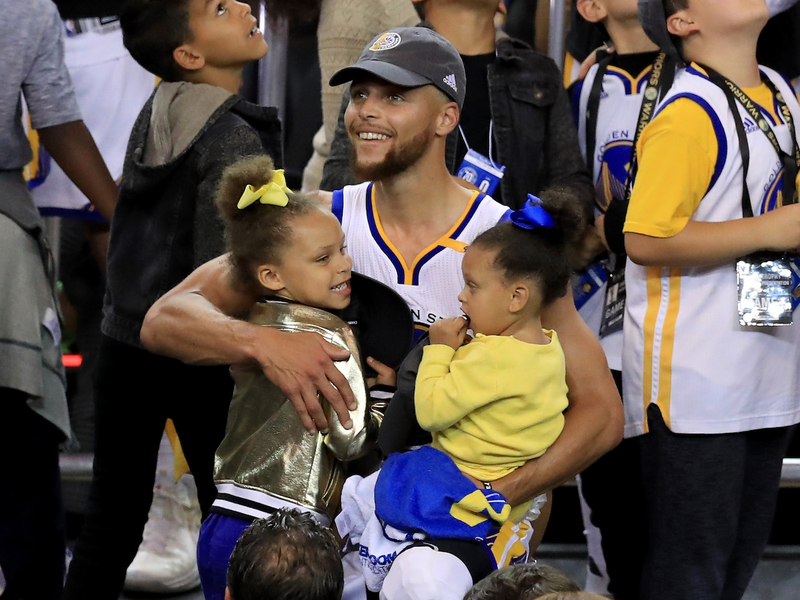 The Currys now have two daughters, Riley and Ryan. As well as a new son, Canon, who was born in July 2018. My heart is FULL. God has been too good to us. Our beautiful baby boy Canon W.Jack Curry 7/2/2018. He joined us earlier than we thought and we couldn’t be more excited and grateful. Family of 5! @stephencurry30 #mynewman ???????? ???? by this mama of 3! ???????? 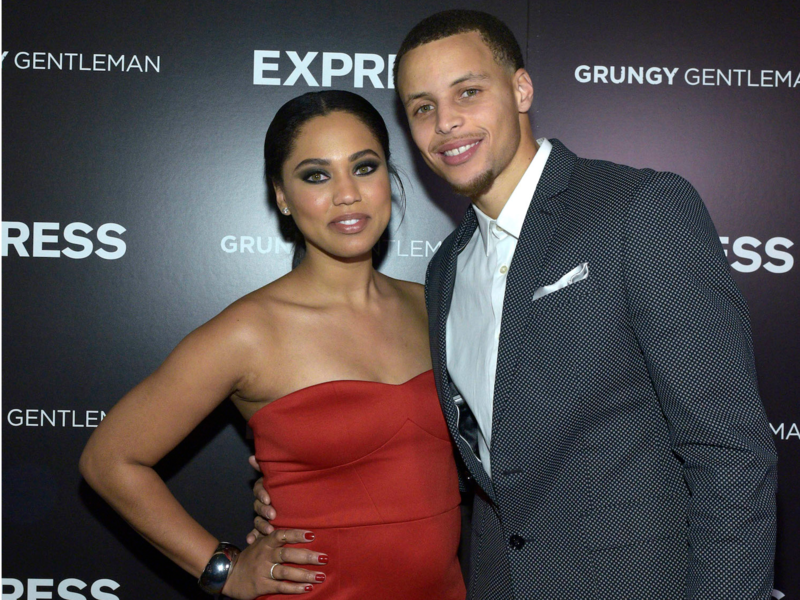 Ayesha is an avid supporter of her husband’s career at can frequently be seen at his games. 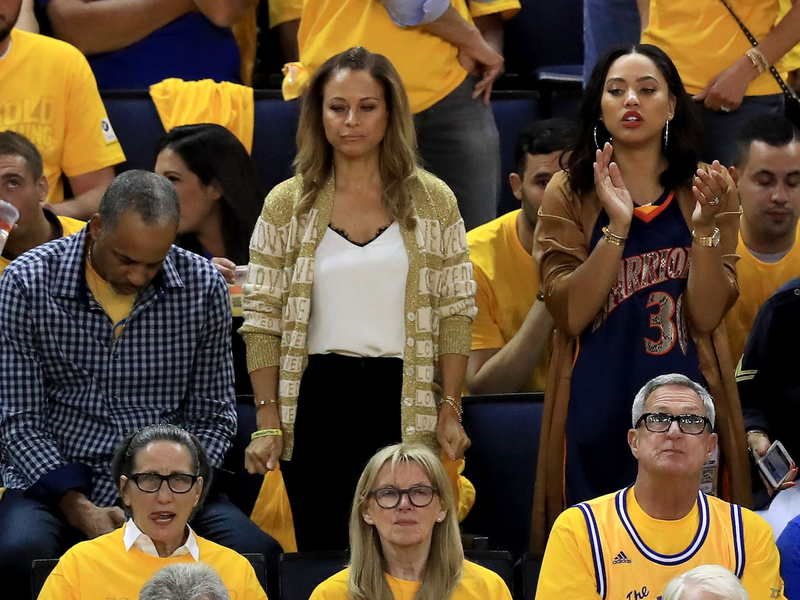 She even once called the NBA “rigged” on Twitter after Steph was ejected from Game 6 of the 2016 NBA Finals, though she later deleted that tweet and retracted her comments. “So we’re five years into our marriage now, and we’re still trying to figure things out. But it’s working, which is great. It’s just making sure that irregardless of how tired you are or of what’s going on that you find that time — and make that time — that’s just for each other. 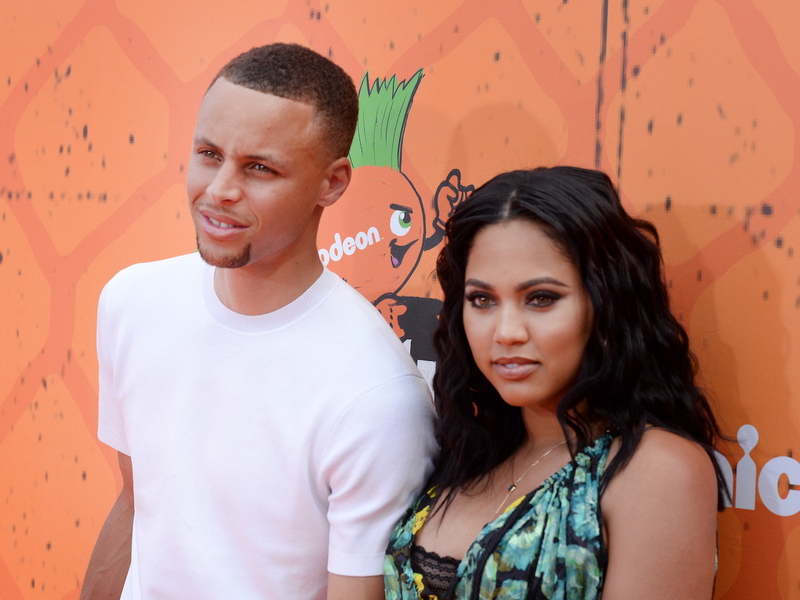 Like no kids, no nothing; just each other,” Ayesha has said of maintaining a healthy marriage with her husband. They have Matching tattoos. 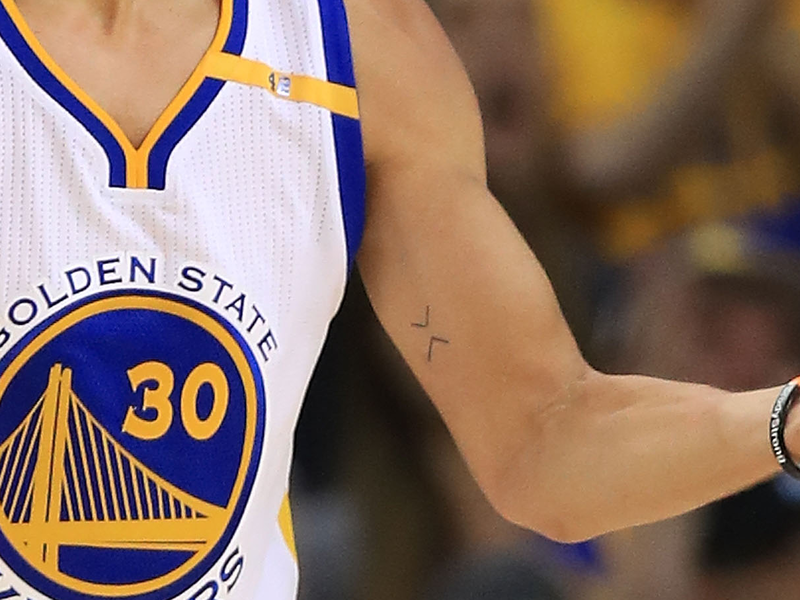 Two arrows pointing at each other, to signify “the past is behind us and the future is in front of us, so we stay in the middle, in the moment.” They even have a pre-game ritual where they each smack their tattoos. 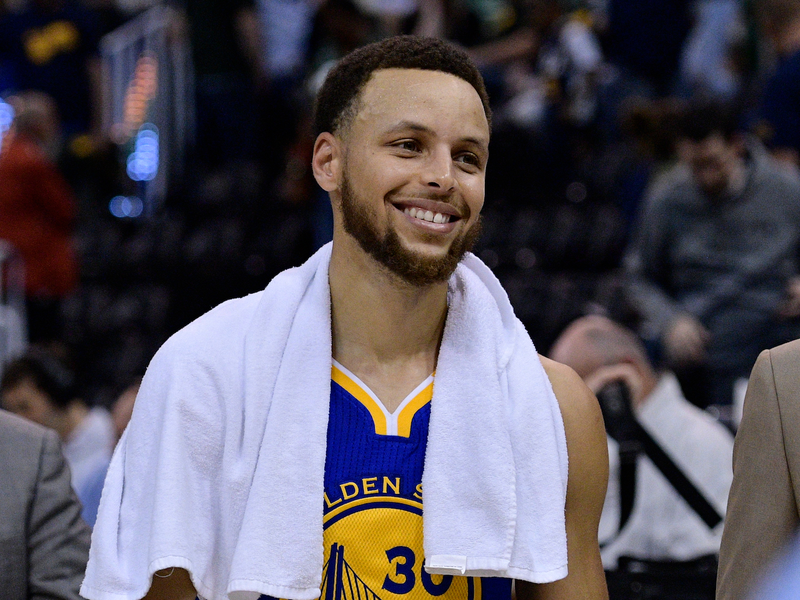 On the court, things are going pretty well for Curry. 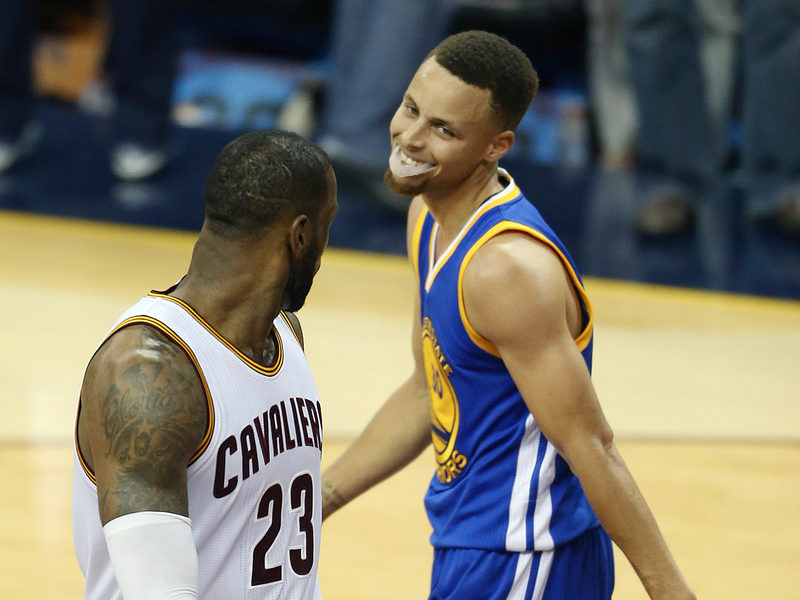 He is a two-time MVP, and he recently surpassed LeBron James as the NBA’s highest-paid player. 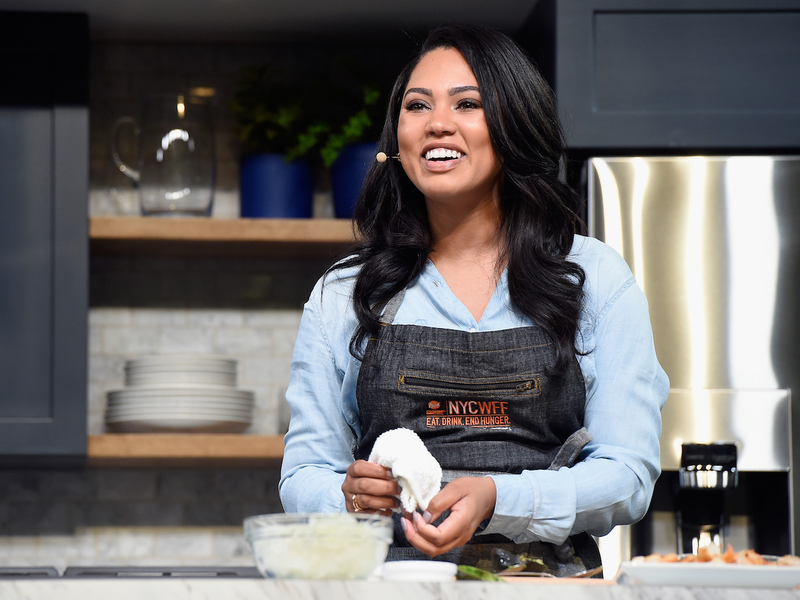 She also owns International Smoke restaurants in several cities and is set to executive produce and host a cooking competition show, “Family Food Fight,” for ABC. 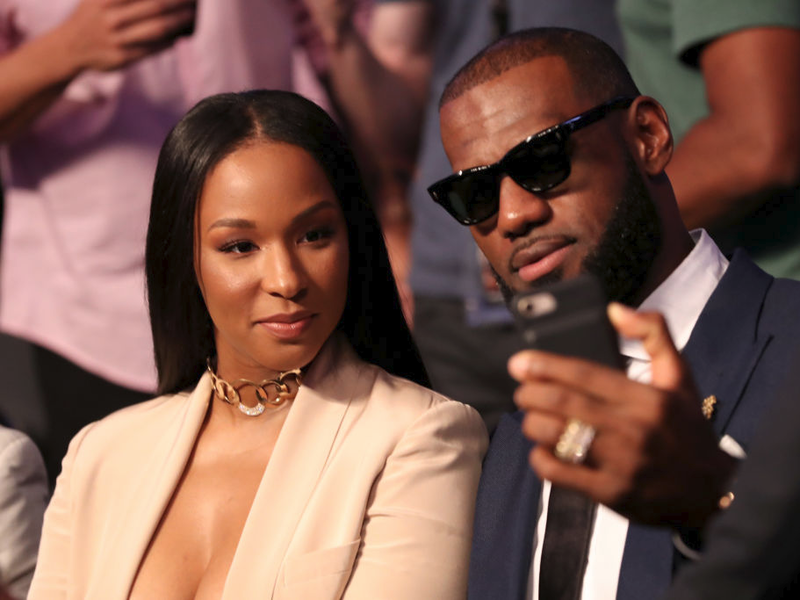 Now take a look inside the marriage of another royal NBA couple.